The Lechtaler Höhenweg is a demanding but rewarding 8-10 day hike through the Lechtaler Alps. It’s easy to reach from international airports. Here’s how to do it and more! Ends at Anhalter Hütte, north of Imst. 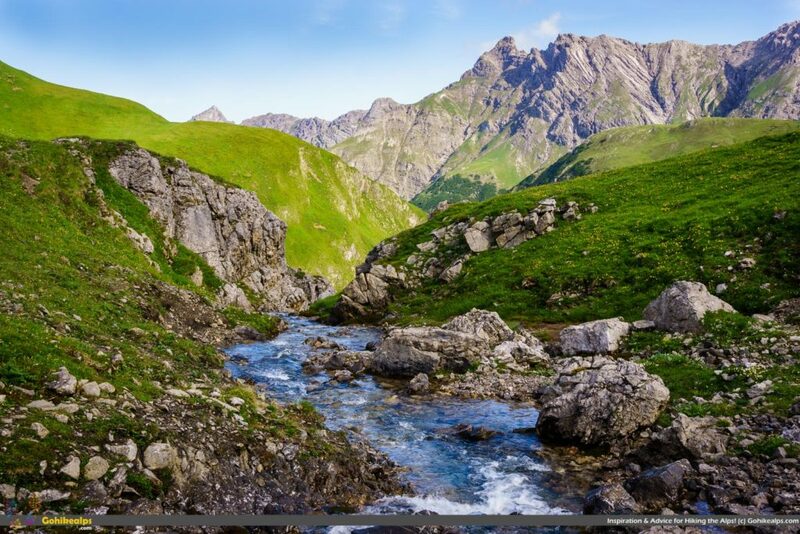 The entire Lechtaler Höhenweg, or Lechtal High Trail, is a total of about 100 km / 63 miles of well market but occasionally quite demanding paths along the main ridge of the Lechtal Alps. There’s several variants to the route and a total of 13 mountain huts along the way, depending on how you choose your route. There’s several stretches with fixed cables and some places where in bad conditions there can be a real element of danger. Most of the route is between 2000 – 2500 meters (6500 – 8200 ft.) so it is a high alpine route. The guidance is that this would take 10 days to complete but many of the suggested stages are only a few hours in length so if you’re fit and willing to put in some sweaty hours, you can easily cut down the number of days. The Lechtaler Höhenweg is rated Difficult and it is. For me it was more demanding than I had imagined but a lot of that had to do with my overambitious plan, too much gear and weather conditions. Read all about it here. This is a genuine high alpine route so you need to be fit & prepared accordingly. Looking west from Gufelseejoch, over Gufelsee. The Stage numbering is synced with how they’re described elsewhere, hence the weird numbering. It’s easy to see where you can combine a couple of stages. Stage 13, Steinsee Hütte to Wurttemberger Haus (Difficult, 4½ hours). This is not Stage 12 in reverse, but rather a difficult, scenic and diverse route with fixed cabling and with a high likelihood of snow. Not an “official” variant but there’s also a possibility to do a very long hike from Memminger Hutte direct to Hanauer Hütte. It’s indicated as 8 hours but it took me more than 9, and there’s no huts in between so think twice before you go on this one. I chose this option to win back some lost time. The Lechtaler Höhenweg, per what I’ve understood, is normally done from West to East. 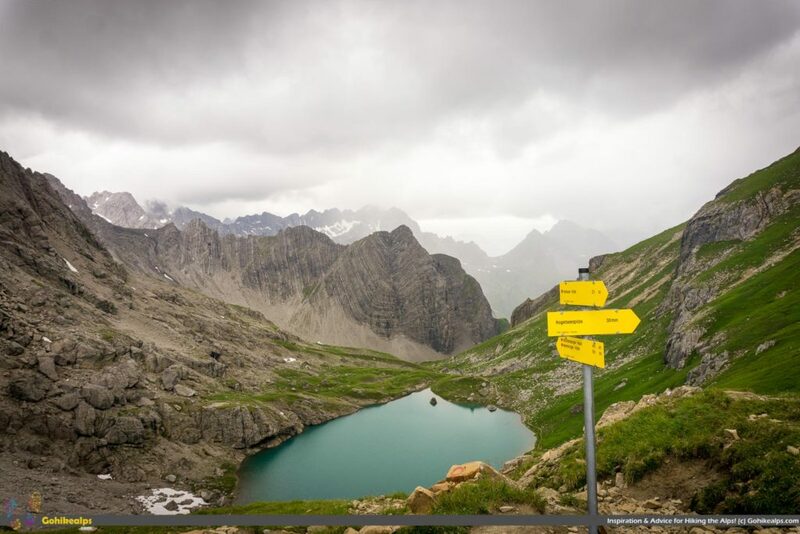 To start the Lechtaler Höhenweg from the West end properly from the Stuttgarter Hütte, your best option is to get to Lech and start from there. Lech is an upscale ski resort which is easy to get to. If you need to fly in, the best options are Innsbruck, Zurich and Munich. From each of these you can take a train to St. Anton and then take a bus from there to Lech. 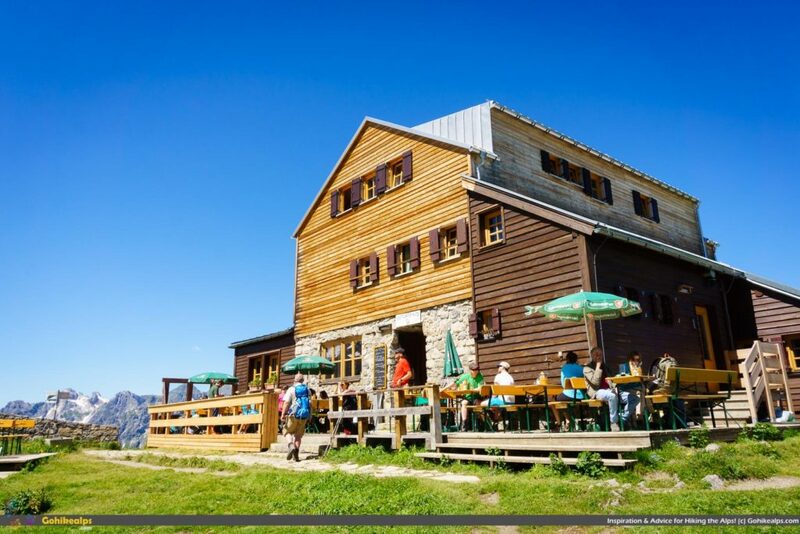 Once you’re in Lech, you can start towards Stuttgarter Hütte right from the town. However, to save your strength, I recommend taking the Rutikopfbahn up to the mountain and then walk from there. From the top station of Rutikopfbahn it’s only about 2 hours to walk to Stuttgarter Hütte. At the other end, Anhalter Hütte is further away from Imst. You could consider getting off the trail already from Muttekopf Hütte, from which you can take a cable car down to Imst. From Imst you can again take a train to whichever airport you need to get back to – or a train to anywhere in Europe for that matter. From Anhalter Hütte you can continue north towards Germany and find transportation from there or revert towards Imst. Or, you could continue the Eagle Way (E4) towards Nassereith. The beginning and the end are 100 kilometers apart, which means that unless you have a good reason to, or are continuing somewhere else, there’s no point renting a car. If you’re not a purist about doing the exact route and want to save a couple of days, you could consider planning for what I did, that is starting from St. Anton and ending in Imst. There’s plenty of trails all around the Lechtaler Alps crossing the Lechtaler Höhenweg, most notable probably being the E5 which goes from Oberstdorf in Germany to Meran in Italy. The crossing is at Memminger Hütte which is extremely busy at times to the point that one might consider avoiding it. A lot of this route is in real back country, which means your cell phone might be off the grid for extended periods. You need to be ready for a strenuous high alpine hike. You can get off the trail from all the huts with reasonable effort if you need to bail out or can’t do the entire trip. A main railroad runs in the valley to the south so transport options are more plentiful on the south side compared to Lechtal on the northern side. Get a map: Kompass Lechtaler Alpen, Hornbachkette 1:50000. This map covers the entire route, helps you plan and helps you get through the trail. Make sure you have the necessary gear for a Multi-Day Alpine hike. Check out the Gohikealps Packing Guide and download the printable checklist for reference. Fly to Munich, Zurich or Innsbruck. Read here to get some guidance on airports. Book a train to St. Anton and take a bus to Lech from there. The St. Anton am Arlberg site for bus info. Consider booking you night’s stay beforehand for either Lech, or St. Anton: Click here for accommodation options in Lech and click here to find hotels in St. Anton. Here’s the contact info to all the mountain huts on the Lechtaler Höhenweg, including the variants. Continue to my experience on the Lechtaler Höhenweg here!